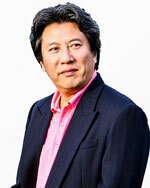 Thomas Chan - Composer in resident, Conductor, composer, bassoon Guildhall School of Music and Drama (UK). 1970 bassoonist HKG Philharmonic Orchestra 1977 scholarship Guildhall School of Music & Drama (London) 1980 HKG government Music Office 2004 Principal adjudicator HKG Youth Music interflows Symphonic Band Contest. Now – Senior Tutor Howick Music School & several other schools. 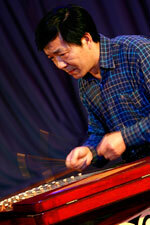 William Yu – Dulcimer. MAA Chinese Instrument leader since 2005. He started to learn dulcimer at 9 from Mr. Song Xiule of The Singing and Dancing Troupe of Yingkou City. At 13, he studied with Professor ShuYing of Shenyang Conservatorium of Music, who was also a well-known dulcimer performer of China. Yu has been a dulcimer performer in the Singing and Dancing Troupe of Liaoning Province since 16 and had been there till he came to Auckland in 2004. William is well recognised by Asia NZ Foundation as excellent musician of “good character and rare quality” and has been invited to perform at their major functions both in Wellington and Auckland. Tanya Li – Erhu。 She started to learn erhu at 10. Her teacher was Mr. Ma Shuxue, a music educator from Yinkow City. At 18, she became Professor Niu Jugui’s student. Professor Niu was a well known professor at Shenyang Conservatorium of Music. At 21, she became a performer in The Singing and Dancing Troupe of Yingkow City and was there till 2004 when she migrated to Auckland. Tanya is well recognised by Asia NZ Foundation as excellent musician of “good character and rare quality” and has been invited to perform at their major events both in Wellington and Auckland. MAA member since 2005. 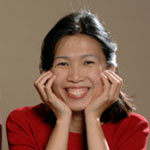 Joanna Wu – Pianist. Holder of the Trinity College of London Advanced solo piano performance diploma, Joanna started playing the piano at the age of 5. She has been focusing on teaching both practical piano playing and music theory for the past 15 years in Hong Kong and New Zealand. She held concerts at major Auckland venues such as the Panasonic Performing Art Centre, Mt Albert Community Centre and St Luke’s Presbyterian Church. In 2011 she participated as one of the judges for the 1st Federation of Literary and Art Circles Inc.
Melinda Gao – Pipa. China National First Class Pipa Player, member of Chinese Musician Association and Chinese Music Performance Association, Executive member of Chinese Music Orchestra Association. Graduated from China Conservatory of Music in Beijing, she is a first class soloist of China National Chorus Orchestra. She has visited and performed in France, Switzerland, Monaco, Russia, Malaysia, Singapore, Japan, Korea, Hong Kong and other areas. Ma Xin – percussion. Member of the Chinese Musician Association and Chinese Music Performance Association. Graduated from the China Conservatory of Music in Beijing, major in percussion. He is the first class Bassist and percussionist in China National Chorus Orchestra. He performed “Thunder” that has received excellent performance award from The Ministry of Culture, PR China. He has visited and performed in America, Japan, Korea, Indonesia, Hong Kong and Macau. Elsa Lam – Clarinet. Doctorate of Musical Arts Candidate, University of Cincinnati Quoted as “an outstanding clarinetist” by Cincinnati Post, Elsa worked for the Sorg & Whitewater Opera Company ( USA) as principal clarinet and orchestra manager. Later she was appointed as the assistant principal clarinet of the China Philharmonic Orchestra. Apart from performing with renowned artists K. Penderecki, V. Ashkenazy, I. Perlman, G. Kremer, M. Maisky, P. Domingo, Tan Dun and Lang Lang, she has performed extensively in Asia, USA and Europe with CPO. She made recordings with Deutsche Grammophon, Denon Digital Industries, Centaur Records, and Pan Classics: Zurich. Elsa is now the MAA Western Instrument Leader, founder and coordinator of 2006 MAA Composition Competition. 林東榮 - 單簧管。辛辛那堤大學音樂博士後選(USA) 被辛辛那堤郵報讚譽為傑出的演奏家。林東榮曾任美國Sorg & Whitewater歌劇院單簧管首席和樂隊經理。後任中國愛樂樂團單簧管副首席, 並於2005年CCTV全國轉播其獨奏的Copland的協奏曲。她曾与世界聞名的藝術家K. Penderecki, V. Ashkenazy, I. Perlman, G. Kremer, M. Maisky, P. Domingo, 譚盾, 郎郎等同台表演,並同中國愛樂樂團在亞洲,美國和歐洲等地多次演出. 現任奧克蘭音樂協會西樂部長和2006作曲比賽統籌負責人. Binglin Chen - Violinist. Shanghai Teachers University,Washington Catholic University. The first Chinese full-time professional violinist in the Auckland Philharmonia, From 1975-78 he was assistant principal violinist in Shanhai Opera House Orchestra conducted by Mr Xiao Bai. 1978-81 studied at the Music department of Shanghai Teachers University and went to Washington Catholic University to further his music education. 1982-87 he was employed by Singapore Symphony Orchestra as a violinist. Yun-Pai Hsu - Piano . 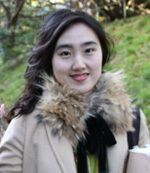 Doctor of Musical Arts Candidate, University of Cincinnati Yun-Pai Hsu worked as a pianist and teacher in the United States where she also received her education. She has appeared as a soloist with several orchestras and, as a member of the Center for New Music, she has been invited to premiere new solo piano works as well as chamber music throughout America and also in Moscow. She has over 10 years of experience teaching piano and music theory at all levels including tertiary level teaching at the University of Iowa. Currently, she is the piano and theory teacher and Arts coordinating assistant at the Corelli School of the Arts on the North shore. In addition to her teaching and in Auckland, she is completing a Doctorate of Music degree in piano performance at the University of Cincinnati as well as a Master of Arts degree in Music theory at the University of Iowa. Anna,Zongy Zhao - Violin, Hospital Interpreter. Diploma Abroad British Royal School of Music. A freelance musician and a violin teacher in Howick Music School. She has played with Auckland Sumphony Orchestra and often plays in the Classic String Quartet. An interpreter of Waitemata District Health Board. Ju Cheol Wang - Orchestral Conductor. Doctor of Musical Arts , Master in Orchestral Conducting. He is an accomplished Double bass performer and orchestral conductor. 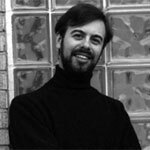 His qualifications include a Doctorate degree in Double bass performance and a Masters degree in Orchestral conducting from the U.S.A. Prior to his arrival in New Zealand, he was the founder, director, and bassist for the Seoul Uniss chamber orchestra and a member of the Seoul Art Orchestra and the Asian Philharmonic orchestra. Dr. Wang has also served as a jury member for several major music competitions such as the Vienna International music competition in Austria and the Journal of Music National competition in Korea. In addition, he taught at Kun-san National University and conducted the Seoul Women’s University orchestra. He has recently published a method book for Double bass pedagogy and is currently preparing for his second book. Annie Gong – Accordion. Master of Music Education, Auckland UniversityBachelor in Performing Arts, China. A professional piano accordion soloist of one of the top Chinese Symphony Orchestras before I came to New Zealand as a guest artist at 2001. Annie have been a very experienced concert soloist and entertainer since she was 15. Her music style is recognizably classical, but with accontemporary rhythmic component, repertoire include Carmen, Barber of Seville, The Bat….One of her current instruments is the newly released Roland Digital Piano Accordion. This features very good piano accordion sound plus very realistic orchestral sounds such as solo violin, woodwind and brass. Annie now a full time musician travelling and performing around the world. 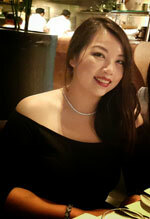 Li Jie (Julie) Zhu - Violin/Viola. Guangzhou Xinghai music school Graduate of Guangzhou Xinghai music school, played viola in the Guangzhou symphony orchestra and performed all over China. Member of the Chinese Musician’s Association. 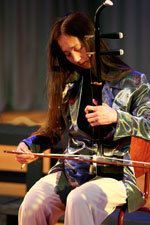 In 1995 she was invited to perform in England and Scotland as part of a string quartet. Nationally ranked as second class musical performer in 1996 and has also been named in the hall of fame saloon in Guangzhou due to her achievements. After immigrating to New Zealand in 1996, she played in the Auckland Sinfonietta for a short while and is now teaching Violin and Viola in the Howick School of Music. Zhuo Quan Tian - Dizi and Suona. 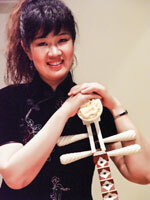 Tian has been performing Chinese instruments for the past 30 years, specializing in Dizi and Suona. He have received the Golden Harvest award of the Chinese National Instruments Competition and 1st class award of Shanghai City National Instruments Competition. 田作全 - 笛子和嗩吶。從事中國民樂演奏已30多年. 專攻笛子和嗩吶等樂器, 曾榮獲中國民族音樂比賽丰收獎与上海市民族樂器比賽一等獎. 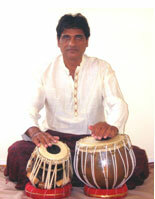 Raju Jadeja – Tabla. He studied tabla under late Pandit Markandey Mishra of the Banares Gharana and is an accomplished accompanist as well as a soloist. He has travelled widely throughout Europe regularly invited as either an accompanist, soloist or for lecture demonstrations. He has written several articles on tabla and even here in NZ has written articles for the ‘NZ Musician’ magazine. Raju Jadeja After graduating with a Bsc Hons (Mathematics) he entered the Actuarial profession and later studied for post graduate studies, gaining an MSc (Computer Science) as well as an MBA. He immigrated to New Zealand for the lifestyle and now lives in Auckland. Yana Zhang - Violin teacher, Maker and Restorer. Shen Yang University of Music I have been involved with violin playing and making since I was 8 years old. At 18 I worked for the China Northeast Musical Instrument Company in Ying Kou in Liaoning Province. My principle job was to make violins which were sold in China and all over the world. In 1985 I attended Shen Yang University of Music, studying violin performance and violin making. At the violin makers competition I won the prize for best acoustic quality in 1987. Since coming to New Zealand in 2002 I have worked with musical instrument companies, fixing many violins including the maintenance of precious violins. I also teach violin to students including adults. My students make fantastic progress and usually belong to school bands.